You can read about the first tour here and here and we’ll be posting more details about the upcoming Cambodia culinary tour dates on Grantourismo and this site very soon. The May tour started out in Siem Reap and Angkor, and also took in the remote temple and villages of Banteay Chhmar and colonial Battambang. 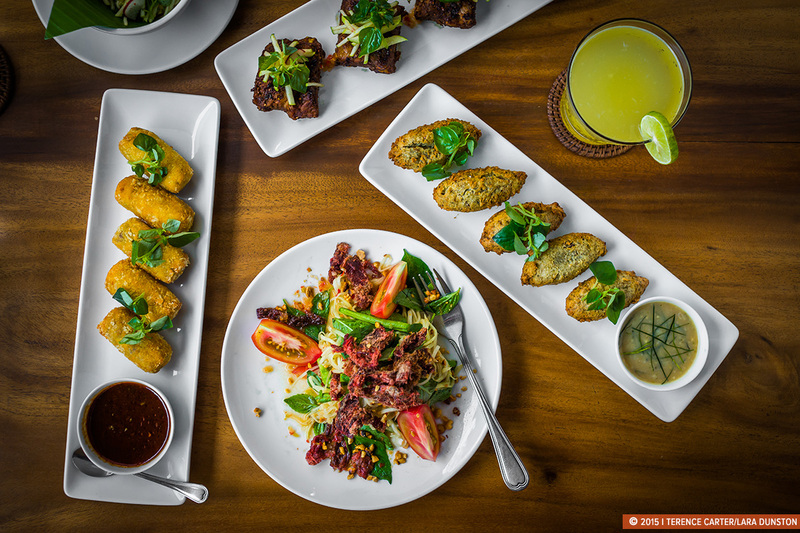 We crammed the eight days with loads of scrummy experiences, from street food tours and Khmer dessert tastings to a private cooking class with one of Siem Reap’s best chefs. It was loads of fun. We had a lovely group of enthusiastic participants, however, everyone had different interests – while some were keen to develop their writing and photography, others were really just here for the food, and that was fine. The itinerary was also very full and very tight. We’re going to start off with an optional full day of writing and/or photography workshops that will provide some direction for the actual tour. Those who just want to learn about Cambodian cuisine (and eat!) can join us a day later. If you choose to meet us a day earlier, then you can opt for a half day of writing or a half day or photography – or both! Both half-day programmes will consist of short, punchy, bite-sized lessons on techniques to develop your food and travel writing skills, whether you’re a beginner, amateur writer with more serious aspirations, food/travel blogger, established writer, or photographer. There’ll be small, manageable writing tasks crafted to complement the experiences in the tour that you can complete each day. By the end of the tour, you should be equipped with enough material to form the basis of a story. The photography workshops will focus on food, travel and portrait photography with advice provided for every situation that you will find yourself in during the week. We’re partnering with a different company to run the Cambodia culinary tour, and we’ll announce that, along with the dates, price and itinerary details very soon. With Backyard Travel, we’re planning a culinary tour for October 2016 in another Southeast Asian country. Those details coming soon too. get a taste of contemporary Cambodian culture and arts, during a performance of the Phare Cambodian circus, which combines circus tricks and acrobatics with traditional and modern theatre, music, dance, and more, to tell stories of Cambodian life. This tour will include downtime for those who’d like time simply to relax, write, swim, go for a stroll along the river, indulge in a massage or treatment, or experience a ticklish fish spa. For those who’d prefer to use that time to get some additional writing or photography coaching, we can arrange that too, as well as one-on-one time post-tour for an additional fee. Some of the participants on the last tour were also keen to shop, so I’ve added an optional extra at the end of the tour: my Shop Siem Reap experience, which includes a shopping-focused itinerary crafted to suit your interests and tuk tuk driver, and is part guided and part self-guided, with time at the end of the day for a well-deserved massage or spa treatment. 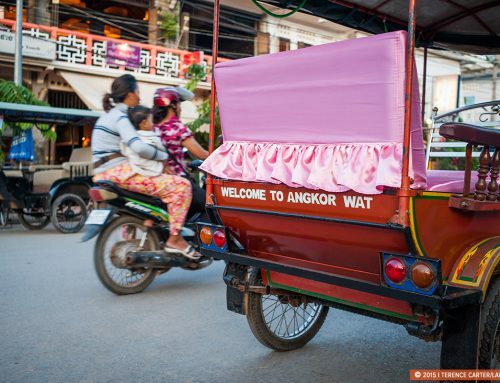 While I’ve curated this tour and I’ll be there to host you, I’ve handpicked some of Cambodia’s best guides, chefs, home-cooks, and foodies to join us along the way for different experiences – you’ll be learning about Cambodia and Cambodian cuisine from Cambodians, as you should be. If you have any questions or would like to express an interest in the tour, feel free to leave a comment below, email me at laradunston@me.com or get in touch via the Contacts page. More details about our new Cambodia culinary tour coming soon!